Italian comfort food at its sweet and savory best. 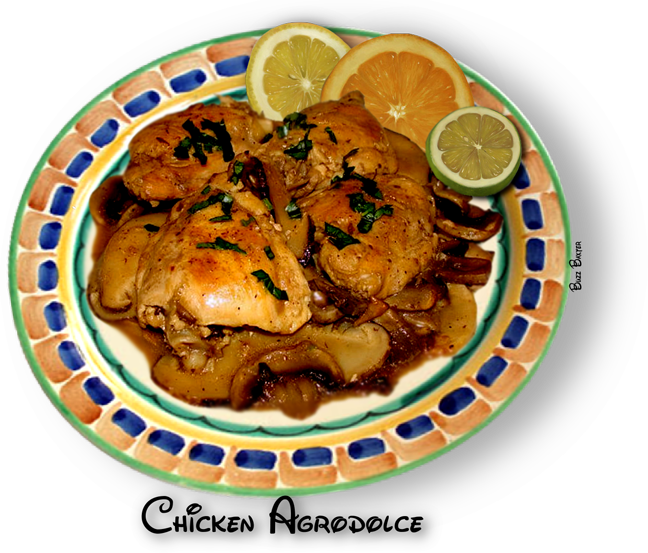 Braised chicken and mushrooms at their succulent best! •   Flour chicken breasts; set aside. bay leaves, and ginger until chicken is golden brown. Being careful not to burn the garlic. again by two-thirds. Strain the reduction.